Think back to a time when you were listened to and really felt heard. How did it feel to be seen as you were? The last letter in Dr. Gottman’s ATTUNE model is E and it stands for Empathy. Brené Brown describes empathy beautifully in this brief animated video. Empathy is the willingness to feel with your partner. To understand their inner world. 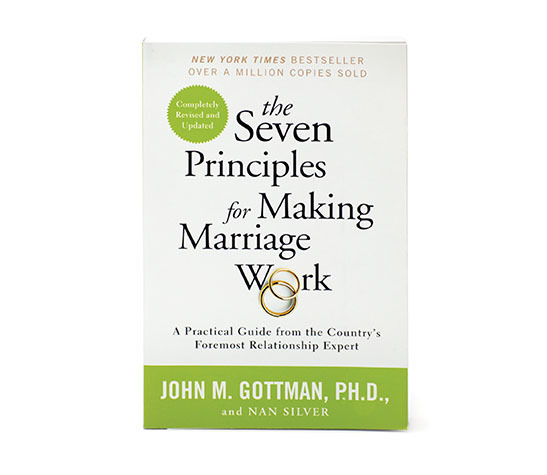 This critical skill is part of Dr. Gottman’s State of the Union Meeting and is key to reaching resolution in conflict conversations. During conflict is also when empathy is most difficult. To empathize with your partner when their hurt feelings are a result of something you said or did without defending yourself requires skill and practice. Couples that have mastered empathy tell me “it’s like a light switch has been turned on in their relationship” and their cycles of conflict drastically change. This is because partners stop defending their positions and instead seek to understand each other. They become a team against the conflict. Empathy is easy when our partner is happy. It’s more difficult to empathize when our partner is hurting, angry, or sad. As Marshall Rosenberg says in Nonviolent Communication, “It may be difficult to empathize with those who are closest to us.” Since we care about them, we try to help minimize their feelings because we know that they are difficult, but sympathizing can be damaging despite positive intentions. Empathy is putting yourself in the shoes of the person you love. Sympathy is feeling compassion, sorrow, or pity without experiencing their feelings with them. Brené Brown’s description of sympathy as trying to paint a silver-lining around pain is a very common response. The problem with this kind of response is that it invalidates the other person. I know when others have tried to “fix” my feelings, I’ve ended up resenting them because it made me feel foolish for feeling that way in the first place. As the listener in the State of the Union meeting, empathizing will be difficult. Below are four skills to improve your ability and willingness to empathize. Empathy is only possible when you have removed all preconceived ideas and judgments about your partner’s feelings and needs. When you assume responsibility for your partner’s feelings or take messages personally, you’re blaming and judging. Judgment of your partner’s experience is an attempt to protect yourself. To empathize with your partner at a level that creates healing and brings you closer demands your full focus on your partner’s message. To do this, practice the art of non-defensive listening and focus on being curious about your partner’s feelings. It’s easy to get swept away in the facts of what happened during the heat of a conflict discussion. This is where couples get stuck. They argue over who is “right,” and yet both views are valid. Being “rational” about the facts inhibits empathy because it invalidates emotions. This is why Dr. Gottman suggests concentrating on what your partner is feeling. Listen to what they need. 3. Climb into the hole. When you listen for your partner’s feelings with your whole being, it becomes a lot easier to understand their perspective. I related to the visual Brené Brown paints of a hurt partner being down in a dark hole, because I know when I am feeling sad or upset, I feel like I’m alone in a pit of pain. What I really crave in these moments is not for someone to throw a rope down, but for someone to climb into the hole with me. To feel what I feel. Dr. Gottman refers to empathy as a mind meld. To attune to your partner requires the ability to experience their feelings on such a level that that you almost become your partner. Empathy is so deeply connecting that it’s physical. This is why Brené Brown says empathy is vulnerable. To attune to your partner’s difficult feelings requires you to connect with that feeling within yourself. If you’re having trouble climbing into the hole with your partner, start by being curious about what they’re feeling. Ask questions to help you understand why they are feeling that way. This will make it easier for you to empathize with their experience. Validating your partner’s perspective doesn’t require you to abandon your own. Empathizing shows that you understand why they have those feelings and needs. Behind every complaint is a deep personal longing. When you realize this, it becomes a lot easier to make the choice to be empathetic instead of taking your partner’s complaint personally and defending yourself. Empathy takes practice. When couples are first learning these skills, I like to start with the Stress-Reducing Conversation because it’s about issues outside of the relationship, making it easier to practice the skill of empathy. It’s also worth noting that we have to receive empathy to feel empathy. By receiving empathy, not only do we feel how amazing it is to be understood, we also learn about the courage it takes to be vulnerable. Next week we will show you part one of the State of the Union Meeting with real life examples. Men, you have the power to make or break a relationship. Use your words, and use them well.